Welcome back to our somewhat consistent attempt to rank the 10 teams in the Patriot League. This edition comes as all teams are a third of the way through the league, having played six games. Per usual, please note that our rankings are not based on teams’ records but on a combination of factors — schedule strength, advanced stats, and of course the eye test. Statistics unless otherwise noted are Patriot-league only. Per usual, feedback is welcomed. For our first power rankings, see here. Watch one half of Bucknell basketball and tell me this team won’t find a way to win the Bison’s eighth regular-season championship in nine seasons. American’s Mike Brennan spoke on Saturday after AU’s loss to Lafayette about the need to complete winning plays, an issue that’s plagued the Eagles during their three-game losing streak. It’s exactly what Bucknell does, and multiple guys lead the charge. While senior Kimbal Mackenzie is undoubtedly the leader and Nate Sestina might be the league POY, on Saturday at Lehigh it was sophomore Jimmy Sotos who drove the length of the court for a game-winning layup with 1.5 seconds left following a last-minute collapse from a six-point lead. That’s super encouraging for the Bison. On Monday in a pasting of Holy Cross, Sestina set a Patriot League record by making all 11 of his FG attempts. Late vs. Lehigh, Bruce Moore got the key touches in the paint. Point being? Bucknell is once again quite balanced inside-out, and anyone can beat you any night. It’s been a confusing six games for the Raiders, who have alternated wins and losses including a three-point loss to Bucknell and a 13-point beatdown of Lehigh. It can break that pattern Wednesday night at home vs. Lafayette. In the meantime, let’s look for some trends between the W’s and L’s. — Not reliant on 3s: Despite being a really good non-conference outside shooting team, that hasn’t been the case in league play. Colgate made seven 3s in two of their wins and 11 in the other. — 3-point shooting defense: Colgate has the second-worst perimeter defense in the league (41.2%) and has been burned from outside in its three defeats: Navy 9-20, Bucknell 9-24, Army 12-22. Of note: Colgate has also played, according to Kenpom, the most difficult schedule in league play. How about that Army defense? Yes, actually. The Black Knights, never really known for that end of the court, have the best defense in the Patriot League (98.5 points allowed per 100 possessions) and even their all-games efficiency numbers, which includes a game at Duke, are the best since 2010 (104.1 pp100 possessions). It is worth noting Army’s schedule to this point — four home games, with only road contests vs. Loyola (loss) and Boston (win). Kenpom projects losses in the Black Knights’ next six games (ouch!) so check back in a couple weeks from now to see how “for real” Army is. The Eagles need to figure out how to win games. Losing at Colgate, Bucknell and Lehigh is one thing, but then to fall at home vs. Lafayette is unacceptable for a team with high aspirations and arguably the league’s best player (Sa’eed nelson is leading the league with 22.4ppg and is using a league-high 33.4% of AU’s possessions). An emerging issue for the Eagles, who have been pretty good defensively all year — fouling. 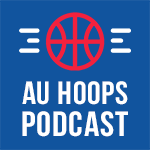 After an overtime period yesterday during which American failed to guard without putting hands on the Leopards, AU has the worst FTA/FGA defense in the league (36.7%). Jehyve Floyd’s e-FG percentage of 82.8% in league play is insane. The problem? He’s taking only 21.9% of Holy Cross’ shots. The Crusaders need to get the ball to their big man more oftense. The other issue — despite Floyd’s interior presence and 9.5% block percentage (35th nationally), PL opponents are shooting 55.6% on 2s and are rebounding 30% of their misses. Like American, the Crusaders can take solace in the fact that two of their four losses are vs. Bucknell and Lehigh. Similar to American, also, the Crusaders are coming off a terrible home loss — this one to Loyola yesterday when the Greyhounds shot 60% on 2s. No good. This is still a traditional Navy team, with the second-to-worst offense in the league and the second-best defense. But the Midshipmen showed in a 85-77 victory over Lafayette Wednesday that they can win in different ways. For comparison’s sake, last year in 11 league wins, the Mids didn’t hit 80 points once. Once again, offensive rebounding is Navy’s main weapon — its conference-best 36.3 ORB% would put it just outside the top 10 nationally. And it’s the only way to explain a team with the conference’s worst effective FG shooting percentage (49.1%) being able to score enough to win half its games. And he does all this while taking 31.9% of Loyola’s shots and getting the lion’s share of attention from opposing defenses. The Leopards are finding some offensive balance. If you look at all games, the number pops out — wow, Alex Petrie is taking 36% of Lafayette’s shots. Yet, that has been far from the case in league play when he’s taken 29.4%. Yesterday against American, Petrie took some big shots, but he wasn’t the lone go-to guy in late-game situations. The Leopards might have found something with playing Paulius Zalys at the five due to Myles Cherry’s injury. Zalys, who’s also taking 29.4% of shots when on the floor, isolated and shot over American’s bigs to the tune of a game-high 21 points on 15 shots. This was after 17 points on 13 shots vs. Navy. One other note on Lafayette: their young guys can play and also create issues on defense, which is something you never say about Lafayette. Keep an eye on guards Isaac Suffren and Tyrone Perry. How to evaluate Max Mahoney. The Terriers big man has the best offensive rating in the conference (131.2), uses the fourth-highest percentage of a team’s shots in the league (29.5%), and has the seventh-best e-FG percentage (64.6%). He’s sixth in league scoring (18.7 ppg). He’s the prime reason BU shoots a league-best 56.8% on 2s. But on the other side of the ball, Mahoney nor anyone else has provided defensive resistance. Patriot League opponents are making 57.9% of their 2s and BU’s block percentage of 9.2% isn’t scaring anyone. And when Mahoney is taken out of a game like was the case against Colgate Saturday, the Terriers are a mess of young pieces still trying to figure things out. Mahoney fouled out against the Raiders and managed just seven points on five field-goal attempts.